We caught up with fellow Aussie reviewer, The Book Kat, to learn how they review, what they love to read and why. I first started thebookkatblog because I missed the wonderful conversations I used to have with the customers when I worked at Dymocks. I wanted a way of continuing that conversation and being able to share my love of books with others. I started on Instagram first and then added my blog. I have been blogging for a bit over a year and reviewing books for publishers since the start of 2015. Most of the books I review are young adult however I will also review whatever I am currently reading or what the publishers choose to send. I read across almost every genre so you never know what I will review. I have reviewed fiction, non-fiction and even a graphic novel—the possibilities are endless! I have a fairly linear process when it comes to reviewing—I read the book first and then sit down to write as soon as I finish it. I always like to read other reviews of the book to see what the general consensus is particularly if I am struggling to articulate what I want to say. Sometimes all it takes is a word or sentence to spark the creative juices! Although, sometimes it takes a few days to process what you have read, particularly if the content was confusing or confronting. For example, when I read Maus by Art Spiegelman it took me nearly a week to be able to sit down and write… I wasn’t even sure if I would be able to get my thoughts down on paper; I found writing about it really emotional. A book hangover always makes it harder to review… especially if you are mourning the death of a much-loved character! Book, e-reader or both? And why? Both! I will always choose paper over e-reader for everyday reading; however, when it comes to receiving manuscripts from work I will happily sit down with my iPad. I have also travelled quite a bit and as much as I would love to pack a suitcase (or two or three) filled with books its not overly practical! They each have their place! Sometimes it is impossible to choose! I have far more books in my TBR pile to read than I can actually get to—it’s a little overwhelming at times! At the minute I have a huge pile of books to review so this is dominating my reading for now! Otherwise I just decide based on what I feel like at the time! I am quite easily pleased when it comes to reading. If you can entertain me and help me escape reality then you have done your job. For me, the writing is the most important part; an author’s writing style and tone are what I find most enjoyable. Consistency is next; if you have a character that is meant to be unlikeable—make it believable and keep it that way. If you want them to end up the hero, then make it convincing! I love it when authors take the hard road… taking the easy way out can work in some stories but making the character earn it is far more satisfying! My third key area is the usual suspects—character, setting and plot. A great book uses all these things seamlessly; there is never one aspect that stands out over the rest! What isn’t there to like! I read for pure enjoyment… I love to be taken to far-off magical lands or being wound through history. It is so true that a reader lives a thousand lives; there is so much to be learnt between the pages of a book. I also love the way reading becomes such a physical experience too—just holding a book in your hands is a delight. There have been so many outpourings of emotion over books… ‘Harry Potter’ evoked so many emotions that I almost couldn’t deal with it all! I love a good review! Sometimes even the bad ones as well! I think reviews from bloggers are the best because they are readers themselves and so they know what other readers are looking for. There are different aspects of the media—newspaper reviews and televised book shows—that are enjoyable too; however, a blogger will often share a lot more than just what they thought of the book. They share their experience—the emotions they felt and the journey they went on. These are the kinds of reviews that inspire me to pick up a new book! I have too many to choose from! I have thoroughly enjoyed reading the longlisted titles for the Stella Prize. The winning title The Strays by Emily Bitto was fabulous as was The Golden Age by Joan London. Erika Johansen’s second book The Invasion of the Tearling was exceptional reading. It is so rare for the second book in a series to exceed the first but Johansen managed it. ‘The Queen of the Tearling’ is quite possibly my favourite fantasy series (after ‘Harry Potter’, of course!). In terms of YA, Jennifer Niven’s All the Bright Places pushed all my emotional buttons and Wonder by R.J Palacio and Laurinda by Alice Pung were simply fabulous! The Queen of the Tearling by Erika Johansen, The Eyre Affair by Jasper Fforde, The Golden Age by Joan London and everything written by Mal Peet and Patrick Ness! Every time I ponder this question I can only come up with one true answer—I want to go to Hogwarts. Living with Harry, Ron and Hermione would be a dream come true! Only three?! I think that would have to be my three favourite ladies—Elizabeth Bennett, Hermione Granger and Kelsea Glynn. The around-the-table book discussion would be brilliant! Professor Umbridge in the fifth Harry Potter book—she is one scary lady! Decide on who your audience is and write to them. 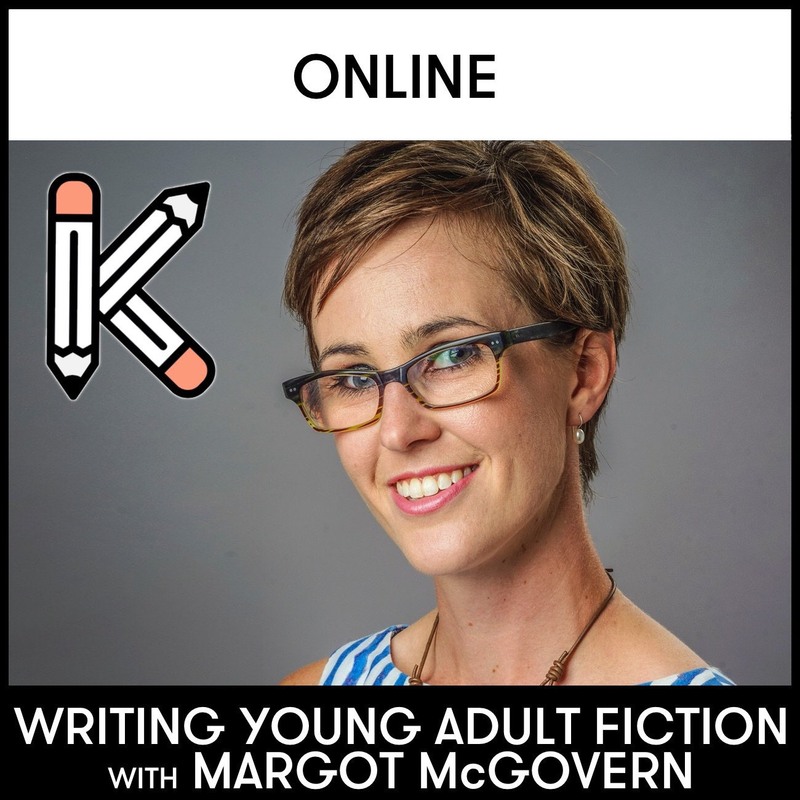 When I first stared, I thought that the only way I might crack the book blogging world was to appeal to the young readers in the young adult readership. However, I quickly worked out that this wasn’t whom I was truly talking too. My main audience is the adult readers, like myself, who read broadly and like to read young adult books. Knowing whom you are writing to helps to develop your voice. I really feel like Dr Seuss got it right when he wrote, ‘the more that you read, the more things you will know. The more that you learn, the more places you’ll go.’ Reading widely is the best piece of advice I was given. It opens you up to a wide range of language, style and tone. While writing doesn’t come naturally for me, I find that as time goes on, it gets easier. Practice, of course, makes perfect! Take a peek at The Book Kat’s reviews over at www.thebookkatblog.wordpress.com and keep up to date with their reviews via Instagram, Twitter and Facebook. Posted in Book Blogger Q & As, For Readers, For Reviewers, Interviews, Latest and tagged book, book bloggers, book reviews, favourite books, interview, reading, The Book Kat, writing, writing tips. Bookmark the permalink.